G.B. Sales is a diversified Floor and Window Covering company that specializes in the replacement of Floor and Window Coverings for the Property Management Industry. G.B. Sales is a diversified Floor and Window Covering company that specializes in the replacement of Floor and Window Coverings for the Property Management Industry. 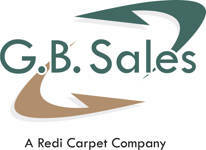 The Commercial Division of G.B. Sales works with the development side of many Property Management Companies and provides the initial installation of Floor and Window Coverings in new construction projects. We also offer complimentary consultation and design service to home owners for custom floor and window coverings and including space planning.